How does medication treat epilepsy? Treatment for seizures is normally anti-epileptic medication, which does not cure epilepsy or the tendency to have seizures but usually does help control the seizure activity. For the people on these drugs, seizures are eliminated in about 50% of cases. Drugs reduce the frequency and/or intensity of seizures in another 30%. The remaining 20% of people have seizures that can not be brought under control by conventional drug therapy. They may require large doses or more than one drug, or they may be drug-resistant. What medications are used in the treatment of epilepsy? Other new drugs not yet available in Canada are tiagabine, zonisamide and remacemide. For more information on these and other anti-epileptic drugs, call 1-866-EPILEPSY. 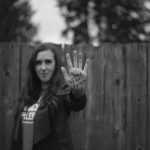 Do anti-epileptic medications have side-effects? All anti-epileptic drugs can have side effects. These vary from drug to drug and only affect some people. In general, however, it is common for people on anti-epileptic medication to experience drowsiness, fatigue, weight change, upset stomach and difficulties with concentration and memory. Where can I get more info about a particular anti-epileptic drug? 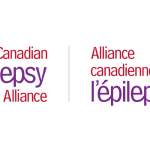 You could ask your pharmacist or your doctor, or call 1-866-EPILEPSY for your nearest Canadian Epilepsy Alliance Member Office.